Adlington Skip Hire offers domestic skips in various sizes, we also have roll on and roll off containers that you can use to store waste and excess materials before the skip is taken to our tipping facility. Our team have a wide range of commercial skips that you can use to store waste materials and products on your business premises. We’ll deliver your skip to your location and pick it up for you when it’s full. Our industrial skips come in all sizes for various business uses, and we offer roll on and roll off containers that will suit your budget. Our units are a great way to store excess material and waste materials before they are disposed of. Adlington Skip Hire have a wealth of expertise when it comes to reliable skip hire in Chorley and other areas within the North West. We are a family run business who has provided waste disposal services for over 20 years, and we consider no project to be too big or too small! Whether you’re looking for a domestic skip or commercial skip, we tailor our services to meet your specific needs and requirements. The skips we have available at Adlington Skip Hire start as small as 2-cubic yards and range up to 40-cubic yards – we can help you to find a skip that suits your specific waste needs and requirements. Alternatively, if you generate too much waste for your wheelie bin but not enough to justify hiring a skip, take advantage of our weighbridge and tipping facilities! For skips Chorley, you can trust us at Adlington Skip Hire! There are many reasons to choose Adlington Skip Hire for your waste disposal. We work with both domestic clients and commercial clients. At Adlington Skips we are able to offer same day delivery, get in touch with us now to order a skip. We work with all clients offering most skip sizes available, from 2 yard mini skips right through to 40 yard roll-on roll-off skips. 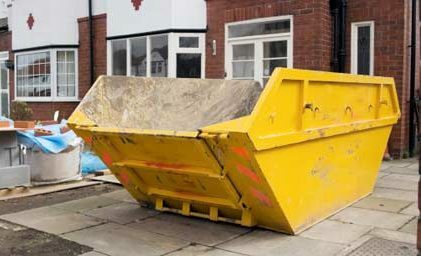 We offer the lowest priced skip hire in the north-west. Get a low priced quote online today! 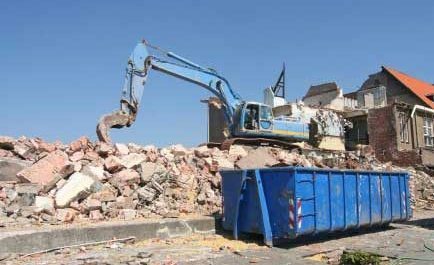 Our tipping facilities cater for all kinds of waste from building rubble to garden waste, we can collect it all. We have been in the skip hire industry for many years, and have all the experience we need to offer the high-quality service. Waste collected by Adlington Skip Hire is first taken too one of our fully licensed recycling facilities to be sorted.